Even before opening the website, you might have a very precise guess of what to expect in this program. Yes, it’s about betting… But with a focus on football! First, logotype has a football and first slider image on the home page shows us a stadium. Second, the admin has embedded on the home page live football scores, which might be useful for some football fans. Moreover, there is a list of Premier League teams. No doubt, this HYIP is totally about football. BETUNITED LTD is a company registered in the UK, which has been incorporated on the 9th of March 2017. There is a different address on Companies House website and on about us page of BETUNITED LTD website. Admins claim that they opened an online portal at the beginning of 2017 after over 3 years of successful trading offline, and now they have started our next stage of expansion which is aimed to create a long-term investment pool. However, there is no further reference to the offline trading business. In the meanwhile, remember it’s all just a story made up by people willing to get their HYIP viral. The website design looks unique to me. At least, the combination of images, which have been placed on the home page. The website is built using Gold Coders licensed script and works fine. However, I noticed few strange things on the home page. For example, news on the home page don’t lead the visitor anywhere. They contain links to the homepage itself. Moreover, football news about the games is not available on the News page. Most likely, admins have decided not to invest in the content. However, I like the idea of posting football news, which might be interesting for some readers. 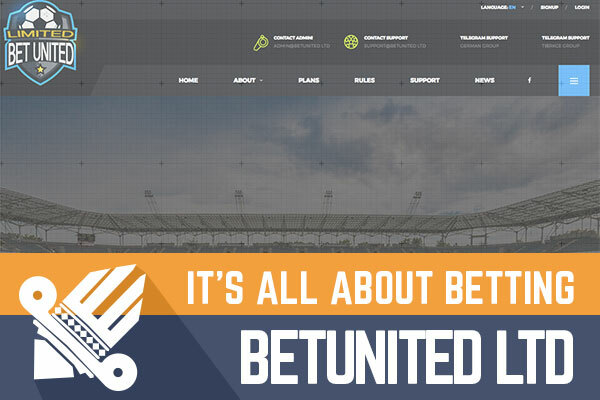 At the bottom of the page, you can see a list of BETUNITED LTD sponsors. It looks more like a list of payment methods, not sponsors. Moreover, these links don’t bring you anywhere same as the news integrated on the home page. Most likely, the admin just forgot to check these things. Their Facebook page looks natural with approx. 100 likes and 10 posts. I noticed the post where the admin is warning others not to do multiple account approach. In fact, you can be banned from the program. BETUNITED LTD has 3 different investment plans from 7 and up to 12%. Minimum investment of these plans is starting as low as $15 and up to $40000. Deposit is locked in and will not be returned in any of these plans. As usually, I’m interested only in the daily profit and how many days it takes to have a return of the deposit. For example, $200 deposit in the first plan will make $14 a day. You can do your own calculations, but in the case to earn your initial deposit back in the first investment plan you will need to wait 15 days and that is not very long in my mind. Once you reach break-even point all the rest will be your profit. 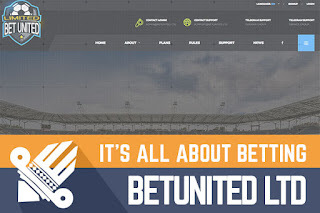 Even though I like football and the admin has invested time to make the website look good, BETUNITED LTD owners didn’t do the final check, to make sure everything is working well. Moreover, there are different company registration addresses on the company register and on the website. I did also notice on forums some complaints that deposits are being accepted slowly and that it takes a long time for client service to reply. At the same time, guys were discussing that program looks like another HYIP called Wolverine Resources, which stopped paying. I couldn’t find any reference to their old website, in order check the web archive. However, you can do your own research. Nothing unusual about this program, except these few discussions on forums and problems on the website. No matter, if you are a newbie or a pro remember, that all HYIP’s are highly risky and you are the only person responsible for your investments. Therefore, if you ever decide to make any investments, don’t invest more than you can afford to lose! Investment plans: 7% up to 12% daily for an unlimited term, initial deposit locked in. Ever considered maximizing your free satoshi claims with a BTC FAUCET ROTATOR?